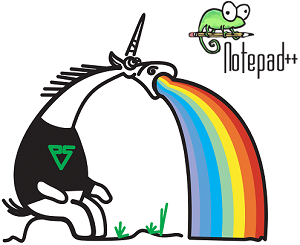 More than a year has passed since we analyzed Notepad++ with PVS-Studio. We wanted to see how much better the PVS-Studio analyzer has become since then and which of the previous errors have been fixed in Notepad++. I decided to find out if there is practical sense in writing ++iterator instead of iterator++ when handling iterators. My interest in this question arouse far not from my love to art but from practical reasons. We have intended for a long time to develop PVS-Studio not only in the direction of error search but in the direction of prompting tips on code optimization. A message telling you that you'd better write ++iterator is quite suitable in the scope of optimization. Such subtle manual optimization is meaningless now. 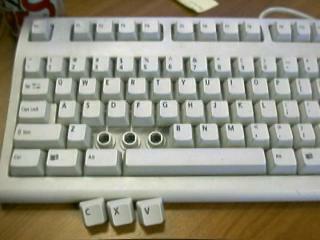 The compiler would handle this task as well. It's just unnecessary complication of code. I create the PVS-Studio analyzer detecting errors in source code of C/C++/C++11 software. So I have to review a large amount of source code of various applications where we detected suspicious code fragments with the help of PVS-Studio. I have collected a lot of examples demonstrating that an error occurred because of copying and modifying a code fragment. Of course, it has been known for a long time that using Copy-Paste in programming is a bad thing. But let's try to investigate this problem closely instead of limiting ourselves to just saying "do not copy the code". Recently, Herb Sutter has opened on its website a new page “Elements of Modern C++ Style”, where he describes the advantages of the new standard and how they will affect the code. • They change the styles and idioms you will use when writing C++ code, often including the way you will design C++ libraries. For example, you will see more smart pointer parameters and return values, and functions that return big objects by value. • They will be used so pervasively that you will probably see them in most code examples. For example, virtually every five-line modern C++ code example will say “auto” somewhere. A task does not have a general solution, as C ++ does not have its own model of exception handling that is work-related with the memory. Nevertheless, we will consider two methods that are using the features of the operating system that caused an exception. Unlike most assemblers, the result of multiplication has the same number of digits as the multipliers in C / C + +. In order not to lose the accuracy, sometimes it is needed to perform additional operations for the multiplication.